Thinking of switching some of you company vehicles to electric? Pure electric & hybrid vehicles accounted for 5% of all new UK car registrations in 2017 and UK Government policy in for all new cars and vans to be zero emissions rated by 2040. 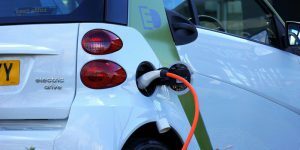 With more models becoming available and an expanding charging infrastructure, electric vehicles are now a practical proposition for many businesses. Join us for an independent insight into the low emission vehicles from Keith Budden of Cenex – a company established in 2005 as the UK’s first Centre of Excellence for Low Carbon and Fuel Cell technologies. Keith will talk about how to save money and operate electric vehicles successfully. Cenex provide independent expertise for the delivery of projects focused on low carbon vehicles and associated energy infrastructures, supporting innovation and market development. Complimentary breakfast included – please specify your diatery requirements when completing your registration. Location: Wyre Forest House (the District Council offices), Finepoint Way, Kidderminster, Worcestershire, DY11 7WF.